Given what has gone before, the Paris Agreement on climate change is certainly an impressive achievement of international negotiation. But what countries will be signing-up to, should they ratify it, is hardly going to reduce the challenges of dealing with a changing climate. And it has very little to contribute to addressing the chronic deficiencies in access for billions of people to basic welfare services, secure livelihoods and political freedoms. There is no doubt that the Paris Agreement on climate change is a major achievement of international climate change diplomacy. It sends out some powerful symbolic messages about the desire and intent of all 195 attending governmental delegations to arrest the changing climate. In mood and consensus it is in stark contrast to the Copenhagen Accord negotiated under similar conditions of urgency and optimism back in 2009; and it reflects a new geopolitical arrangement. However the euphoria which marked the occasion of the Agreement signing last Saturday afternoon in Paris needs some qualifying. First, the Agreement still needs to be ratified by individual nations through their respective internal political processes. The United Nations in New York is open for the deposit of these ratifications until April 2017. Even once the Agreement is formally ratified—as it surely will, given that only 55 national ratifications are required, as long they collectively amount to 55 per cent of global greenhouse gas emissions–parties are entitled to leave the Agreement after three years. As with the Kyoto Protocol, some countries may never ratify; and those that do may choose to exit. My second qualification concerns the effect of the Agreement on the climate system itself and in what ways this will alter dangerous weather around the world. Even were all of the declared ambitions for emissions reductions delivered on time, and ratcheted-up through the conditional review process, climates around the world will keep on changing for the rest of this century. And sea-level rise and ocean acidification is even less response to the headline commitments of the Paris Agreement. Nature is not so easily co-opted by political statements of intent. So, don’t mistake the Intended National Determined Contributions (to emissions reductions) as being actual emissions reductions. And don’t mistake any actual emissions reductions by 2030 or 2050 as implying any noticeable reduction in dangerous weather around the world. Just the opposite in fact. The consequences of dangerous weather and a changing physical environment will be in evidence for generations to come whatever the outcome—1.5, 2 or 3 degrees Celsius. Dealing with the social and ecological effects of climate and its changes is now the enduring responsibility of societies in the new world that has been created. It is the new human condition of late modernity. And so, third, the truth of the matter is that neither 2 degrees nor 1.5 degrees of global warming is ‘safe’. There are huge burdens of disease, poverty, violence, unemployment, political oppression and war which today make life miserable for billions of people. And here is the rub. 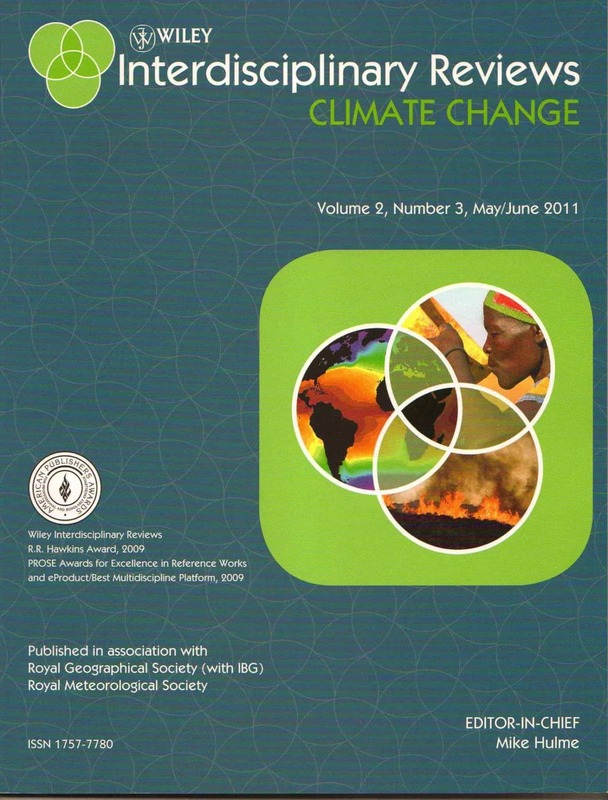 “Climate change” is concerning, but not primarily because of changes to climate. The discourse of climate change has drawn attention to many issues, but the political concern, civic passion and diplomatic energy thereby released should be used to address the many social, ecological and political ills in the world. But a full frontal approach to wresting control of the planet’s carbon budget—seeking control of global temperature–is not the best strategy for achieving this, certainly not the only strategy. Yet it is carbon arithmetic as a proxy for ethical choice that is exactly what Paris valorises and the world celebrates. It places trust in numbers ahead of justice on the ground. Dealing with climate change really isn’t about grabbing the controls of the Earth’s thermostat. The Paris Agreement therefore offers two sleights-of-hand. First, it offers the appearance of reducing the risks of dangerous weather without in fact doing anything that will make a difference until most of the people in the negotiating room at Le Bourget are dead. And second, by elevating control of the long-term carbon budget as the ultimate objective of compassionate and enlightened government, the pressing needs of wealth re-distribution, human welfare and social justice today, are subjucated to the smoke and mirrors of the carbon calculus. The next five years will witness what governments actually do in response to the Paris Agreement. But it won’t make a jot of difference to the climate system for at least half a century. A better guide to whether governments are really serious about the issues that are of pressing concern will be to see what specific steps they take to secure the Sustainable Development Goals by the year 2030. Climate change is a serious issue. But the main reasons to be concerned about it will, paradoxically, not be adequately confronted by the Paris Agreement on climate change.